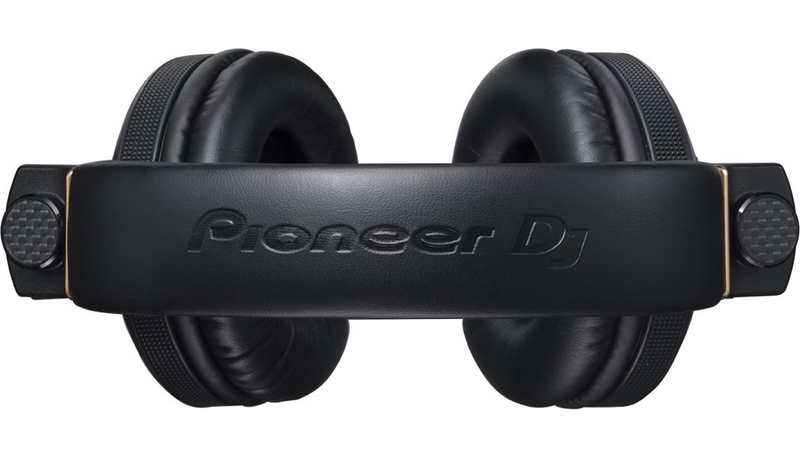 Pioneer DJ Releases HDJ-X10 C Custom DJ Headphones! 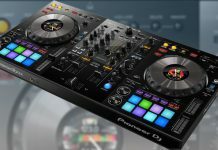 Home DJ News Pioneer DJ Releases HDJ-X10 C Custom DJ Headphones! 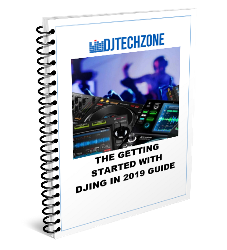 If you have the cash to spend, and like exclusive gear, the HDJ-X10 C is made for you. Based on the already excellent HDJ-X10 top-of-the-line headphones, the HDJ-X10 C’s ear cups covers are made of carbon fibre, a material that you would rather expect on supercars. 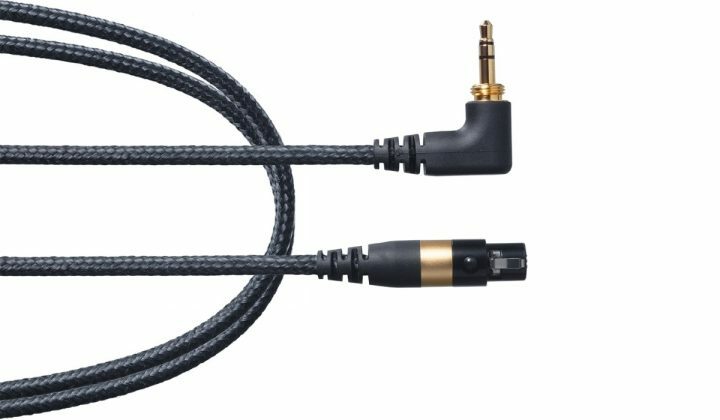 Carbon fibre is extremely durable and lightweight at the same time, so in addition to improving the durability of your headphones, it should do something for the weight as well. 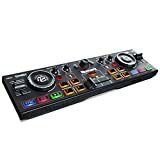 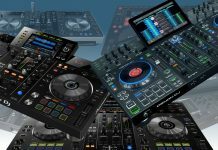 Pioneer DJ claims that it also helps to reduce unwanted vibrations and thus improves the quality of the sound. 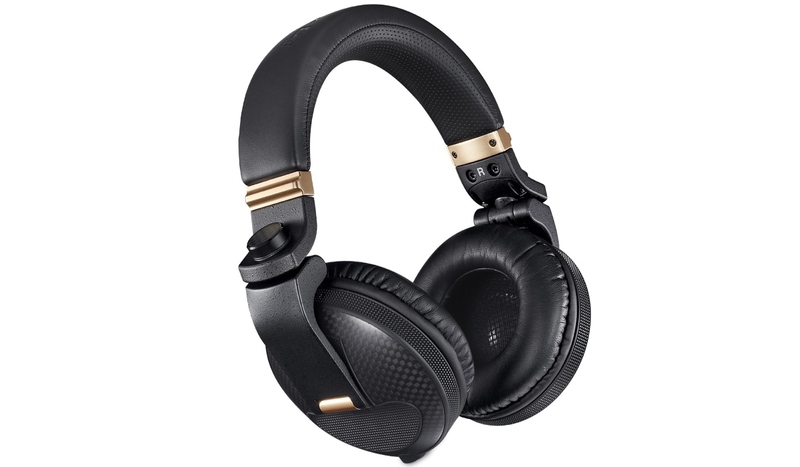 Apart from the carbon fibre, these headphones feature gold finish on several elements, an extra layer of aramid coating on the included straight cable and the headband is made of a new type of breathable, punched leather. If you want one, hurry up because this is a limited edition and there are only 1000 units available. 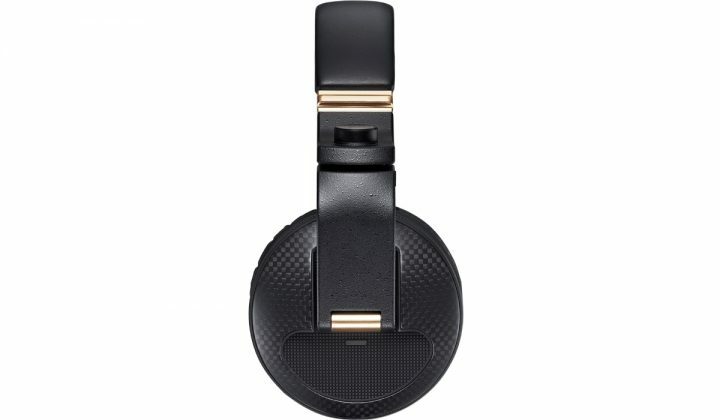 PREMIUM DESIGN FOR SUPERIOR SOUND QUALITY: the HDJ-X10C DJ headphones feature the same 50mm HD drivers (high-definition driver) used in the HDJ-X10 model, but exceptional materials create even greater sound quality in this limited-edition version. 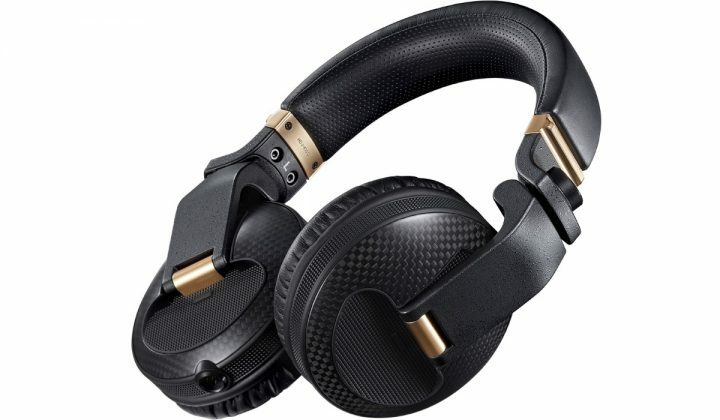 Carbon fibre in the housings removes unwanted vibrations and noise inside. 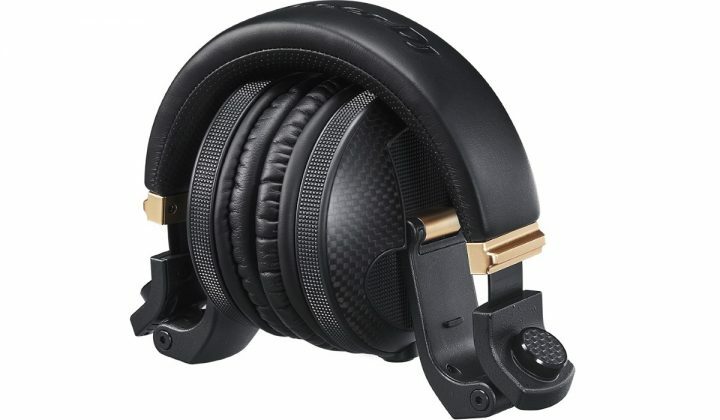 Metal plating suppresses vibrations on the surface, and the grille on the front of the driver has been upgraded to metal mesh to achieve more accurate sound reproduction. All this helps to maximise the performance of the HD drivers and produce a clearer sound. 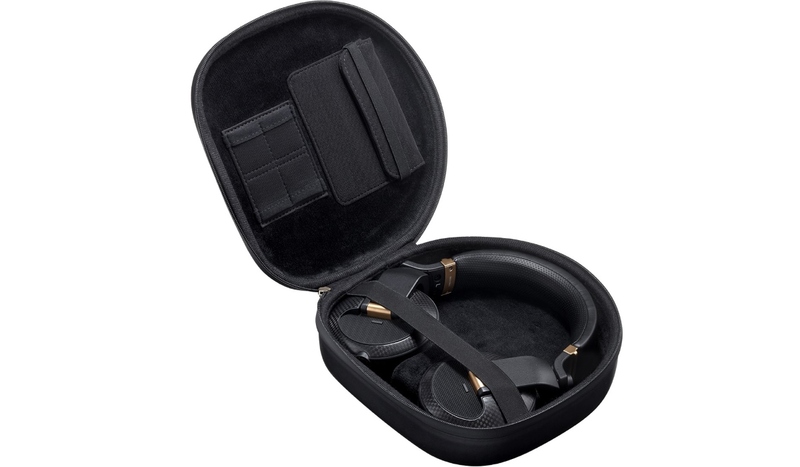 NEW MATERIALS FOR IMPROVED DURABILITY AND COMFORTABLE FIT: having cleared the US Military Standard MIL-STD-810G Shock test2 and with extra-durable aramid material on the straight cable, the HDJ-X10C DJ headphones are highly robust. 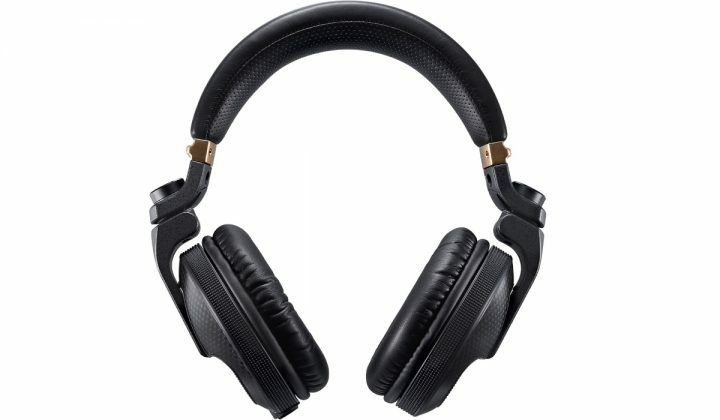 To give you a more comfortable fit, the headband features breathable, punched leather. PREMIUM STYLING: With featured parts made from carbon fibre and others finished in a gold colour – all set against a luxury black body – the premium design of the HDJ-X10C DJ headphones ensures you’ll stand out in the booth. 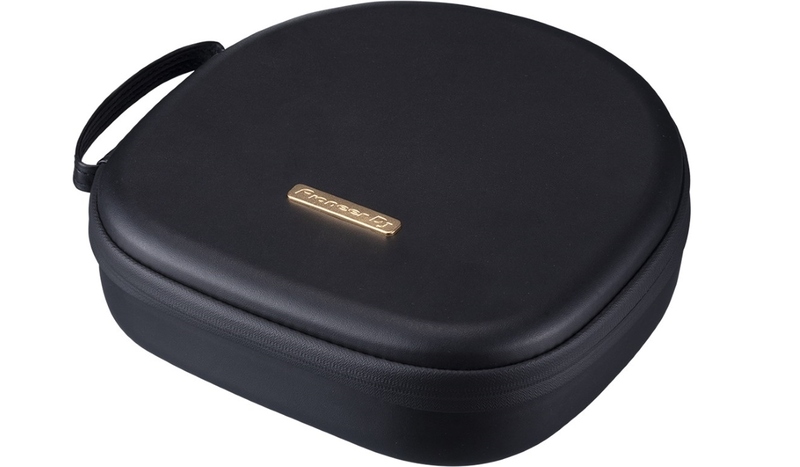 Even the included carry case has an enhanced look – made from high-quality polyurethane leather, it also features gold-coloured elements. 3-YEAR WARRANTY: to guarantee long-term, reliable performance, a 3-year warranty is included. 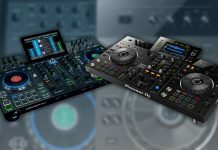 The Pioneer DJ HDJ-X10 C cost USD 599 and is available now.